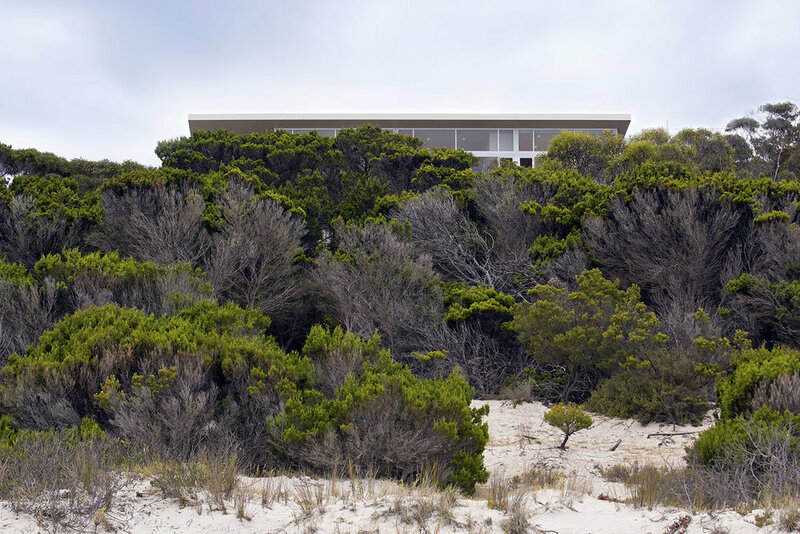 Nestled within the shrub land of a sandy dune, metres from the shoreline of Island Beach, this home provides panoramic views of the Eastern Cove of Kangaroo Island. Designed as a simple linear plan to allow for a northerly aspect with views from all living areas and bedrooms, as well as effective cross ventilation. 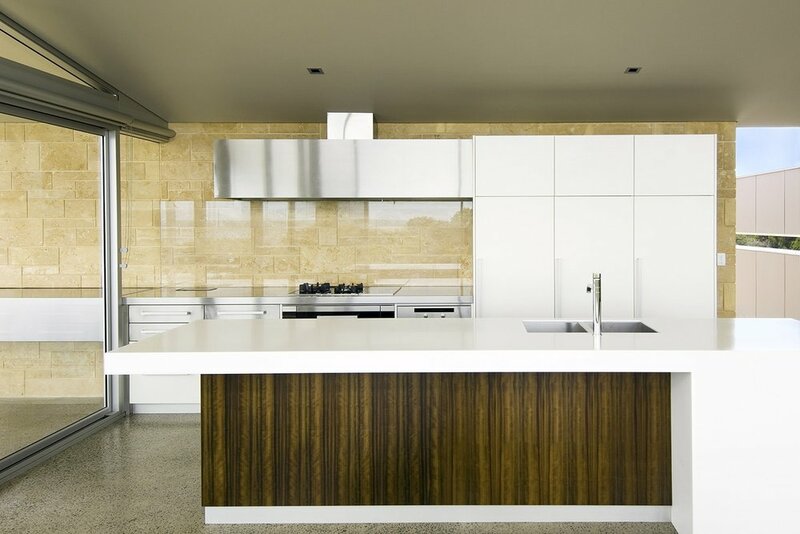 A distinct roof design maximises exposure to winter sun while increased overhangs shade the interior during summer.